Don’t think a 25-footer is roomy? Look again. 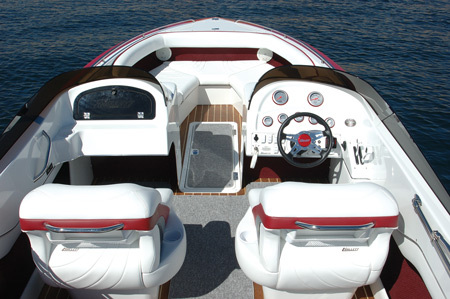 Hallett’s wide-beam design and well engineered cockpits make every model feel and look more spacious. Get ready to get comfortable. No hardback vertical seats here. 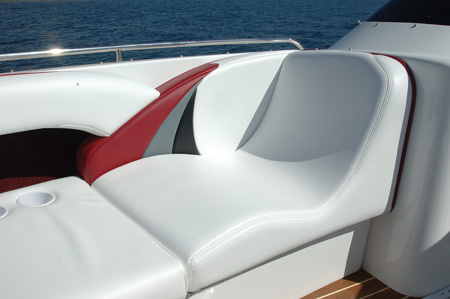 This ergonomically contoured bowrider is the perfect place to spend the day on the water. Neat, clean and efficient, just the way a driver wants it. 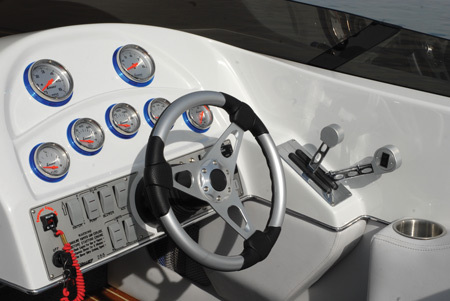 Remember, tilt steering helms are standard on all Hallett models. Makes you just want to get behind the wheel and go for a ride.